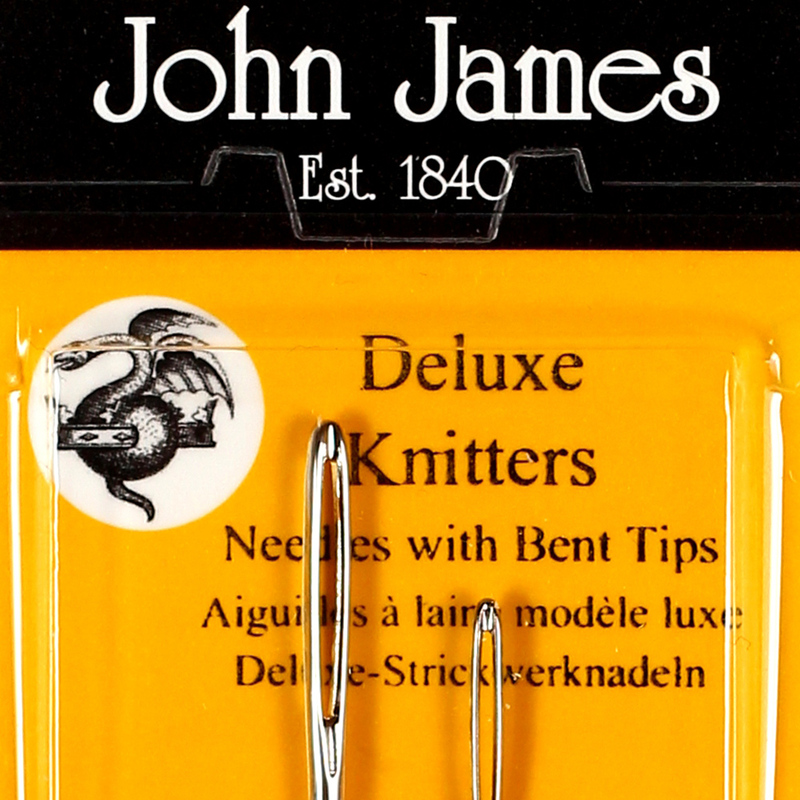 These knitters needles are commonly known as sewing up needles and, as the name suggests, they are used by knitters to sew pieces of work together. 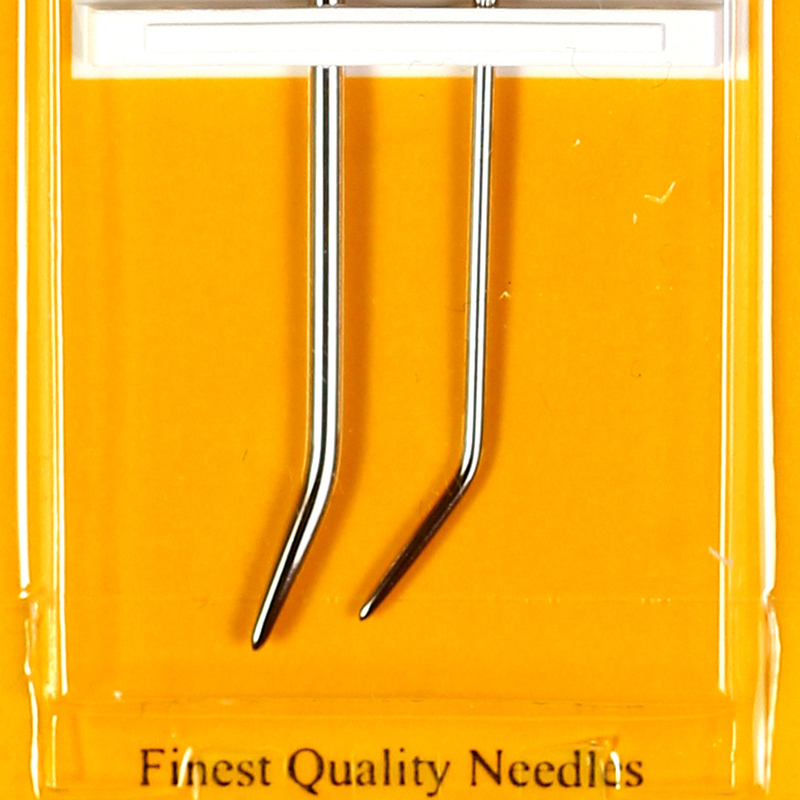 Both needles have a bent tip, this means the point of the needle is angled which makes it easier to pick up stitches especially when the pieces of work are heavily patterned. 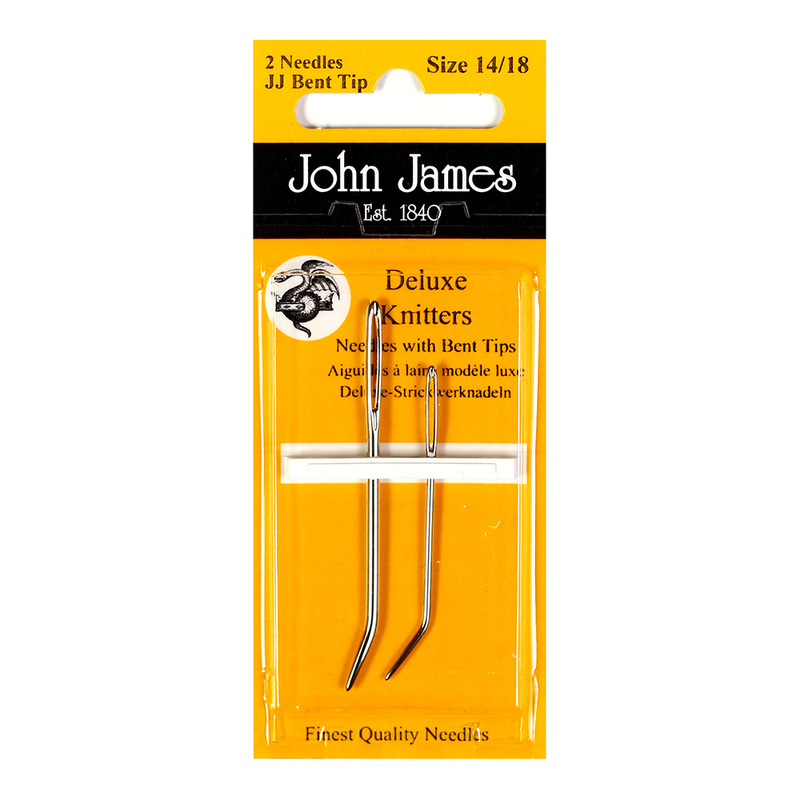 Size 14, the larger needle in the pack, is ideal for sewing up aran and chunky garments and the smaller size 18 needle is ideal when sewing up garments made out of double knitting, 3ply and 4ply and not forgetting baby garments.